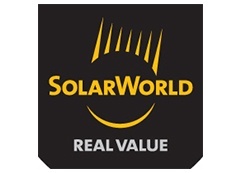 SolarWorld Americas, Inc is a solar module manufacturer based in Hillsboro, Oregon which is currently owned by SolarWorld AG headquartered in Bonn, Germany. Although SolarWorld Americas has been been put up for sale by it’s German administrator as of August 2017, the company continues to operate as usual and is working to position itself for stabilization. SolarWorld Americas prides itself on its committment to sourcing, manufacturing, assembling and hiring right here in the USA. Between 2008 and 2015 SolarWorld purchased $1.5 billion in equipment, parts, services, and supplies in the United States, including all 50 states, the District of Columbia, and Puerto Rico. Although SolarWorld AG has only been in existence since 1998, SolarWorld Americas, Inc (starting as Solar Technology International) has been the the largest U.S. crystalline-silicon solar manufacturer for more than 42 years (founded in 1975). This can be taken as an indicator of the American company’s ability to flourish independently if need be. SolarWorld currently has 2 operating facilities in the United States. First 1 MW manufacturer, first UL-Listed module, first commercially produced thin-film module, first all-black crystalline silicon module, first 100 MW manufacturer, first 25-year warranty, first 25-year linear warranty, and first commercial volume mono PERC modules. As of 2015 SolarWorld had already manufactured enough solar modules to produce over 11 billion Watts of electric power. SolarWorld offers both monocrystalline (single crystal) PV solar modules under the brand name Sunmodule®. SolarWorld’s solar modules utilize their PERC cell technology which they have branded Efficell™. Within the Sunmodule® brand, SolarWorld offers several products, including: Sunmodule® Plus SW Mono, Sunmodule® Plus SW Mono Black, Sunmodule® SW XL Mono, Sunmodule® Bisun Protect, and Sunmodule® Bisun Protect Clear. SolarWorld’s quality assurance program, designated as The SolarWorld Standard, elevates solar to a standard unmatched by any other solar company in the world. They apply stringent manufacturing controls ensuring all of the materials used in their products come from suppliers proven to deliver first-rate quality. They also use a highly automated process to produce unparalleled precision in assembly, which is constantly supervised by computers and double-checked by real people. This level of attention ensures that every product they deliver meets the SolarWorld Standard, every single time. SolarWorld has never had to issue a recall on its solar panels and boasts a 0.0086% defect rate in its flagship line of mono-PERC panels. SolarWorld is a global leader in PV solar module technology, but is a SolarWorld branded product right for you?